Formstack is a survey software that allows users to create customized online forms. 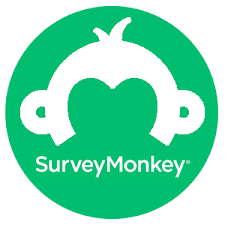 The surveys can also be shared via social media and website landing pages. We compiled Formstack user reviews from around the web and determined that it has generally positive ratings. We also shared its available pricing options. Users who gave Formstack a positive review said they appreciate how its simple interface made it very easy for them to create customized online forms to distribute online. They also like that it is mobile-friendly and that it has multiple app integrations. Users who gave Formstack a negative review said that they do not have many choices when it comes to customizing the look of the forms. Some also mentioned that the Excel document that holds exported results can be difficult to read. One user who gave Formstack a positive review on G2 Crowd cited that the software has a highly intuitive user interface. She added that it is mobile-friendly and that this makes it easy for multiple team members to join the form-building process with minimal training and orientation. One user who left a review of Formstack on GetApp said that he hopes to have more options when it comes to the colors and fonts that can be used on the forms. He also mentioned that he has difficulty building new surveys from scratch. Formstack pricing is not available on its website. However, according to third-party sites, they offer one free plan and five paid plans: Bronze ($19/month), Silver ($39/month), Gold ($99/month), Platinum ($249/month), and Enterprise (customized pricing). Each subscription offers a 14-day free trial. The main differences between the plans are the number of users and forms. Check out the list below of some of Formstack’s features. What is the difference between the free and trial accounts? The free account is offered to all clients, while the trial account is offered to potential customers on a 14-day period based on a selected platform. The free account is given if the user either does not want to convert to a paid subscription, the account is past due, or billing has been temporarily paused. This plan allows users to create only three forms with ten fields per form. It also has no security features, no integrations, zero storage and file templates, and no collectable submissions. On the other hand, available platforms for the trial account are Silver, Gold, and Platinum. Fees are collected monthly or yearly. Formstack accepts American Express, Mastercard, and Visa credit card payments. Yes. Formstack users who have either the trial or paid accounts can create customized themes using the theme builder if they do not want to choose among the pre-built themes. The number of custom themes that can be built depends on the type of paid subscription plan. This video provides an overall background on what Formstack can do to help businesses understand their market better and increase their sales. Not sure if Formstack is the right fit for you? Read our reviews of all top survey software providers or check out one of these three Formstack competitors. There’s so much you can do with the forms, from a simple poll to complex event registration. The forms are highly flexible and can be adapted for almost anything you need to do. Lots of integrations with other apps. I also appreciate the fact that they are willing to give non-profits a discount. I wish the forms could be a little more modern looking. Even though they can be customized, they still look a little dated. I think reports could be a little better. Nothing really. I researched and compared platforms before I ever signed up. Formstack offers a plentiful amount of ways to capture relevant data. It also provides a routing feature that ensures all individuals who need the information are included. They strive to keep their product updated and easy to use, and – at a corporate level for myself – they are very easy to deal with. We were able to redefine our entire electronic submission process, taking us away from massive amounts of paper and giving us the chance to not only trim our budget, but increase the amount of accurate data we had – which, in turn, helped our level of communication tenfold. While you can format the forms to match your website by pasting the code, using the Description Area is a bit turned around. It doesn’t have much capability beyond a basic Word program. Similarly, the most recent update to the interface makes it more complicated to create forms. 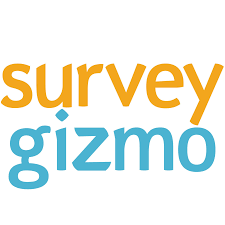 I would not recommend this program to someone who doesn’t know how to use Google Surveys. Cost and how to fully implement the program. We didn’t hear from our account rep until 3 years into the term. I didn’t even know we had one; I’d received emails saying I had to go to the Help Center – a series of FAQs, then escalated communications platform – if I had a problem. Formstack is always improving its product and its customer service team is good at listening. Formstack customer feedback drives their product innovation. This service is an excellent, affordable, versatile online form-building application. It can be used from small to large companies, across many industries and professions. The integrations make Formstack’s use expand beyond just data gathering in forms and move your data into other applications that you may use in your business. One small feature that I use a lot is the Share Link for reports – I can share a report with anyone and they don’t need a login. The reports are lackluster – it can be difficult to visualize or analyze your data directly in Formstack. Not too long ago, they introduced an Approvals workflow, which sounded great – you could have one person fill out a form and notify the next person in line to approve it and pass it down the chain. But all of those approvers have to be Formstack users, which can add up to big bucks. I’ve been a Formstack user since their early beginnings, so I knew quite a bit about them when I signed up. My advice to new users would be to subscribe to the blog and read help articles. I’ve found a lot of neat tricks there that have helped me accomplish more. It is a little more complex with the on-line form that meets higher security standards, ease of use, and visually appealing with personalized themes. Integration with google suite does not always work great. The new form builder is a bit bulky, especially the pull-down menus and creating new sections with text introductions. I started using Formstack years ago. The updates and how to use it are more than I have time to relearn. It would be great if they send links for training along with the notifications of upgrades, and updates. We primarily use the system for Email notifications/submissions to our helpdesk or for our Pardot Form handler integrations. There is a very large repository of integrations that Formstack works with and while many of them are free on Formstacks end, some of them require premium membership to other systems. We had a chance to vet the company, their support, and the system before purchasing.